With our Software Upgrade Service (SUS) and the resulting version upgrades, you will always remain on the cutting edge of technology – constantly meeting the requirements of the IT market. Each newly purchased anynode® license automatically includes a one-year Software Upgrade Service, which guarantees access to free Upgrades of anynode® releases. The installation of a new anynode® release is possible at any time. However, only anynode® Versions where the release dates lie within the service term of the generated license can be used. Any extension of anynode® will be delivered with a new license. This license includes a Software Upgrade Service with an Independent service term.  During an ongoing service term, all new Releases of anynode® can be downloaded and installed from the TE-SYSTEMS community. The service term of the Software Upgrade Service starts with the generation of the license file by activating the LOD Key which is bound to a hardware ID – but no later than 3 months after purchasing the license file. The Software Upgrade Service can be signed for either one or two years, regardless whether it is the first service order, a service extension or an upgrade. After expiration it can be signed again. A synchronization of service terms is possible should service terms of existing anynode® licenses differ. The basis for alignment is the service term of the last purchased anynode® license. The price is calculated on a monthly basis. If there is no Software Upgrade Service Agreement, or if 30 days since the expiration of the last service term have passed, the Software Upgrade Service can be purchased for a new period of one or two years. It is possible to extend the Software Upgrade Service up to 30 days after the expiration for a period of one or two years in some circumstances. The formation of the price is based on the existing anynode® licenses. A one-year service extension amounts to 20 % of the purchase Price whereas a two-year extension amounts to 15% per annum. The price for a one-year service upgrade is 50% of the purchase price.